Are you looking for an AAC app that can be customized and is FREE? Look no further AbleNet has developed https://itunes.apple.com/us/app/soundingboard/id390532167?mt=8 . The app comes preloaded with 14 boards from money to shopping list. If there is a specific board you want to make you can use the preloaded pictures or pictures in your photo library…. just remember to turn on access to photos in your privacy settings! Another neat feature is the ability to add your voice to the pictures. This app can be used on your iPhone, iPod or iPad. It is a perfect for those teachers who are looking for AAC apps, but do not have the funds to pay for some of the more expensive AAC apps. All in one vocabulary, spelling and data tracking. Are you looking to customize your students spelling, writing, and assignments for all of your students? Please check out the app https://itunes.apple.com/us/app/spellingcity/id538407602?mt=8. The app is free with the ability to use pre-loaded sample lists. If you are looking to report to parent and monitor student work based upon individual IEP goals the premium membership will allow you to do this. 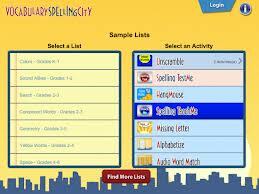 Log onto http://www.spellingcity.com and create a premium account for $49.95 for 25 students. I have now created my own lists and lists that align to the Common Core Standards by grade. My students are on four different levels. I have created group lists for each student with assignments that match their goals. Each student can log on either to the website or use the app to work on designated assignments. Students can work in class or at home. Teachers can follow student’s assignments and send data results to parents and colleagues. Now you can create lists based on books students are reading or social studies and science Common Core words as well as the new Skills and Credential vocabulary for students receiving the Alternate Assessment Portfolio. Finally an all in one app that can be customized and collects data to share with parents! Capture student work in a flash allowing you to use it all for Assessments! Never carry a manilla folder again! – Use a portfolio as a perfect segway to conversation at parent teacher night. As a Special Education teacher this app will help keep records for parents and Alternate Assessment testing. Now you can leave your manilla folders in the file cabinet and just simply carry your iPad with all of your students’ information. What could be easier? This is a must have app for all teachers! Have you heard about SOSH http://www.mysosh.com ? Here is an all in one app to meet the new standards of Career Development and Occupational Studies- Universal Foundation Skills. Easy to use- track data keep in touch with colleagues and parents. Try the full version for 7 days… it will be worth your money. 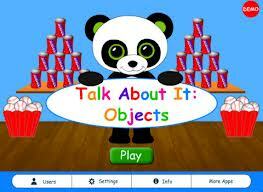 Talk About It: Objects Pro HD by Hamaguchi Apps for Speech, Language & Auditory Development, $4.99 is a unique app because the goal narrative and expressive language. The app allows up to 30 students on one iPad, which is perfect for a Speech Therapist who is working with a large caseload. Before you begin it is extremely important to go to your settings. First, is the objects box. You can customize or use the built in objects. Next, is the guess box. I highly recommend starting with 3 to begin with. As the student progresses you can bump up to 5 or 7. This requires a good working memory and the ability to visualize the statements the student chooses. Recording is the next setting. It allows you to set up clues for students who can not remember what they chose in the guess box. The app also has a track progress. You can choose to have it displayed or not. Now that you have completed the settings it is time to play. Students touch the question mark and watch the rolling pictures until it stops. Next, you go to the guess box and tick off the sentences that describe the item. For example you may land on a shoe. In the guess box you would choose A shoe is something you can wear on your foot. You continue this until you have three sentences that are relevant about the shoe. Once you have completed the sentences the goal is to remember as many sentences as you can without looking and record yourself as you try to remember. If the student is struggling there are magnifying glasses at the bottom of the screen to give you a hint. The app is designed for children ages 6-12, but can be adapted for younger and older users. It is perfect for children who need practice with defining, describing, vocabulary development, explaining, and understanding salient features (what’s important) about an object or place. It also offers an excellent way to integrate articulation and fluency practice! their moods and why they may have these moods. Every time you open the app you have two friendly characters Jessica Ruiz and Danny Rebus who invite you into the app. The first step is the mood sphere . Students have to pick 3 words that describe how they are feeling. Some of the words may be new vocabulary words for younger students. Teachers or parents may have to explain the meaning. Next, there are minimal settings from sound to scores. The app allows up to four player to use the app at one time. Now you are ready to delve into the 4 different area of the app. You can play What’s the Word. This is a great way to develop vocabulary and match the facial expression that goes along with with the word. First you will see a face and a word. If you think it is correct the meaning will appear. Mood words are words like anxious, bothered, cheerful, etc. It is really nice to have audio added with the definition for non-readers. When you are ready to go to the next area you touch the house in the upper left corner. The choices are My Life, My Games, and My Stuff. My Life has three components. First there is Moon Dude. Mood Dude is a cartoon figure that allows you to change the facial expression of how you are feeling today. Mood Tales are stories like Mad Libs where you add the words. The titles though are about moods like “Boy, Am Angry! Outraged, Even! or A Delightful Picnic. These are fun and increase reading, vocabulary and parts of speech. The last game is the Moodosphere. These relate to the words you chose in the beginning in the app. The next part of the app is My Stuff. It allows you to add pictures or take pictures. It is like having a scrapbook of different events. Finally, there are 3 games related to moods. Pets vs Monsters students have to move a bat to match the picture they see. This is also good for fine motor movement. Prankster Madness is also a mood game where students need to tilt the iPad to match the words with the man on the skateboard. The final game is Hey you Guys Catch. The goal is to catch the face with the right mood. The app will introduce you to 50 emotion words and definitions, builds emotional awareness, and encourages self expression. they use pictures and words for non readers when asking questions. It would be nice to have a voice component as an addition in a later update. Scores are kept at the top right of the screen to track how many are correct and incorrect. Students can not move to the next level until they complete the prior level. This is good for students who have difficulty staying focused. This app is also good to use for review or for Response to Intervention for students who may be struggling and need the extra help and time on concepts that other students have mastered. If you are in a class with different levels this is a perfect app for students who are on a beginners level. The app includes Counting and number patterns, basic addition, advanced addition, basic subtraction, advanced subtraction addition and subtraction review, combining addition and subtraction and the final challenge. 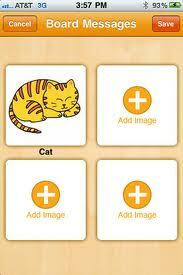 If you are working with children with special needs you can use this app as a reinforcer to your curriculum. After you are completed with a lesson students can work independently on different levels. Teachers and para-professionales can track students to record their progress. Independent work is always beneficial in the class to see if students can follow directions on their own. Student will be able to count to 20 independently.